Available with pneumatic tires or with puncture-proof cushion rubber wheels. 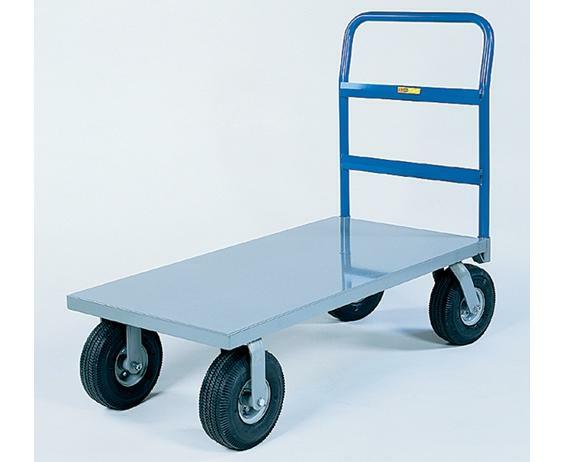 Choose 4-ply pneumatic tires to provide maximum cushion, absorbing shock and to reduce vibration -- ideal for moving loads over rough or uneven surfaces. Or select large 10" x 2.75" puncture-proof cushion rubber tires that are well-suited for use over irregular surfaces yet are easier to move under heavier loads than pneumatic tires. Removable crossbar handle. 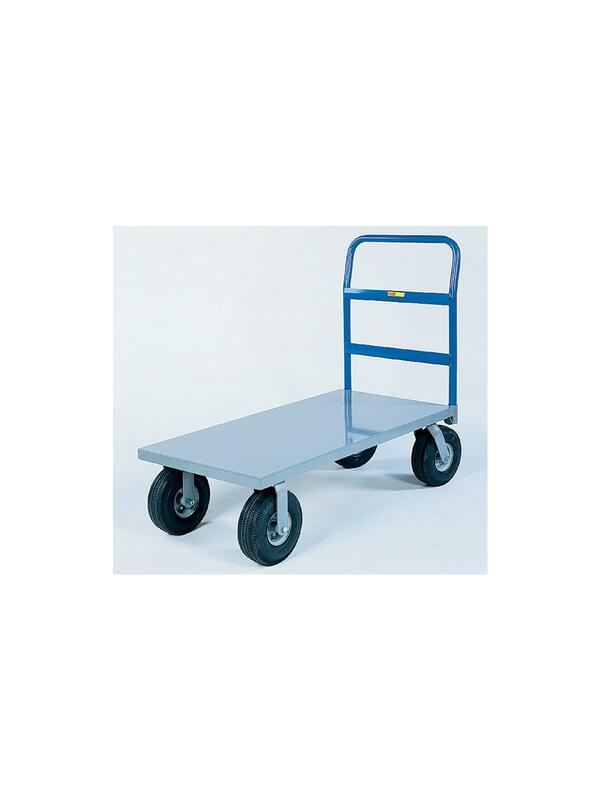 Rolls on 2 swivel, 2 rigid casters. FOB Shipping Point. -FL added to Product No. for Factory Installed Floor Locks.